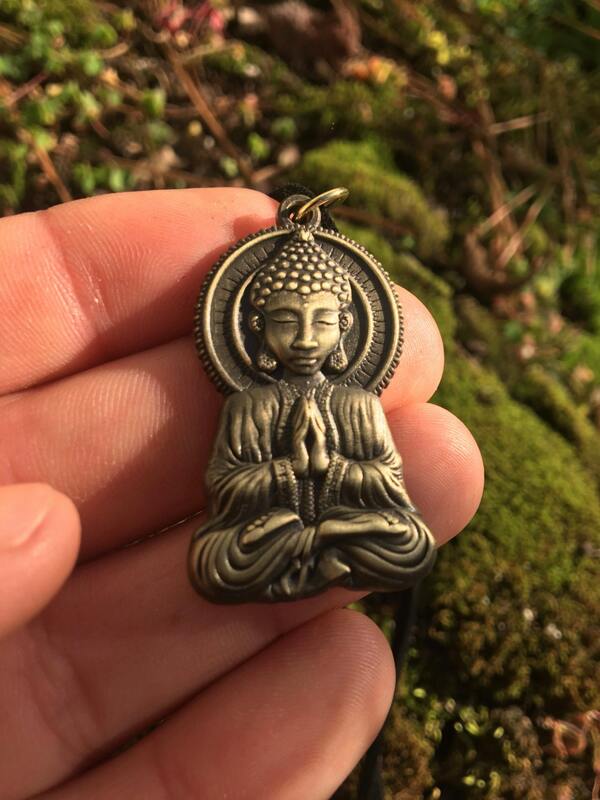 1.5 inch pendant designed by Artist Melanie Bodnar. 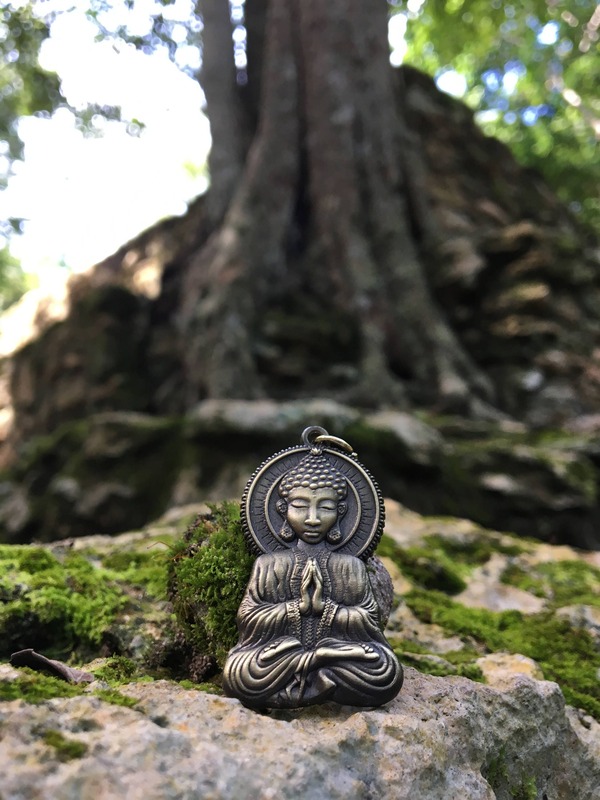 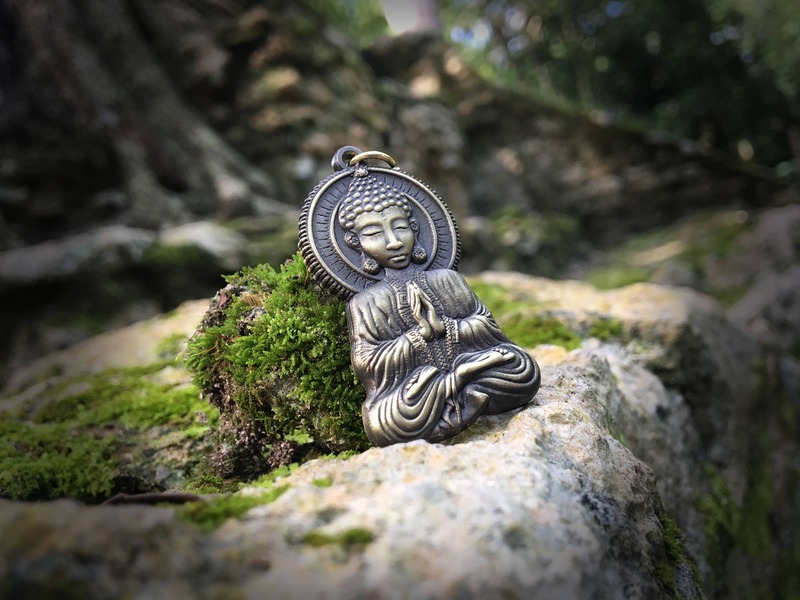 This pendant features Buddha meditating. 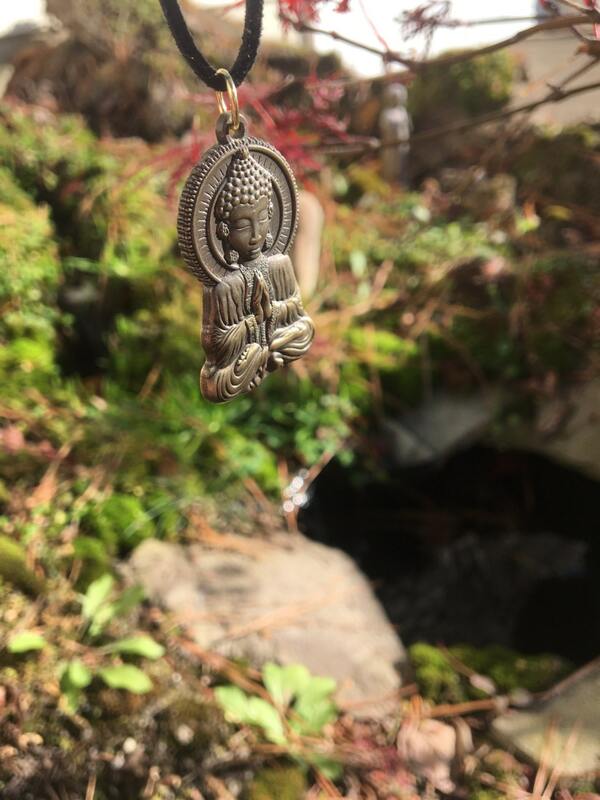 This pendant has an almost 3 dimensional form. 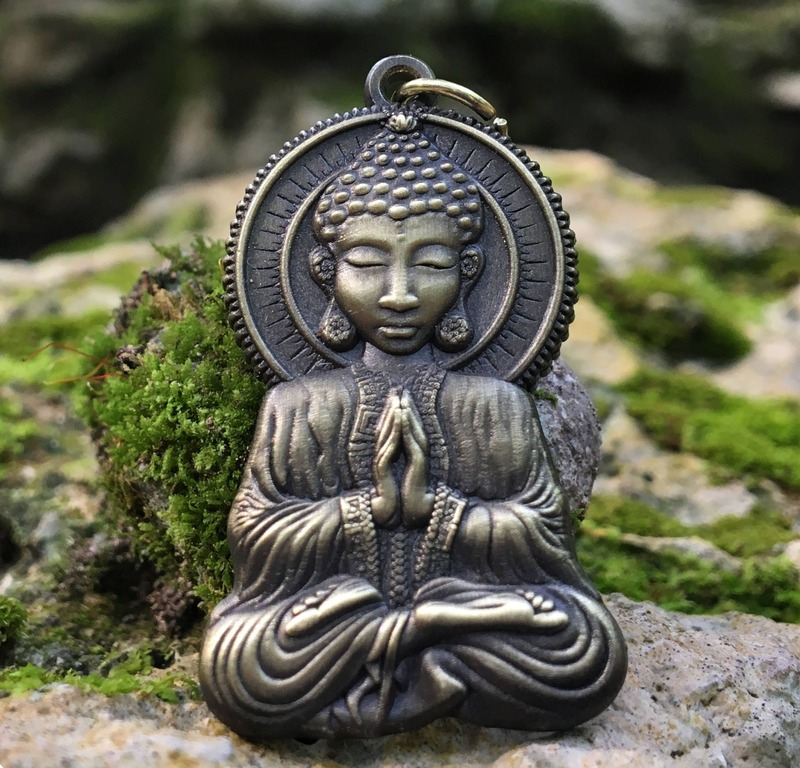 Made from a nickel alloy with an antique gold finish with the artist signature on the back.